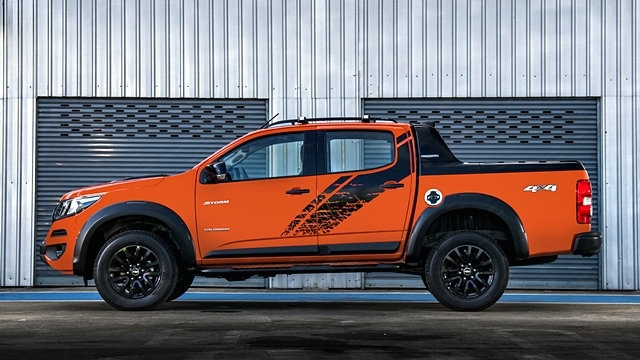 The ultimate 4-door American truck, now in orange crush and dark shadow metallic. 2 new colors to make your heart beat faster. 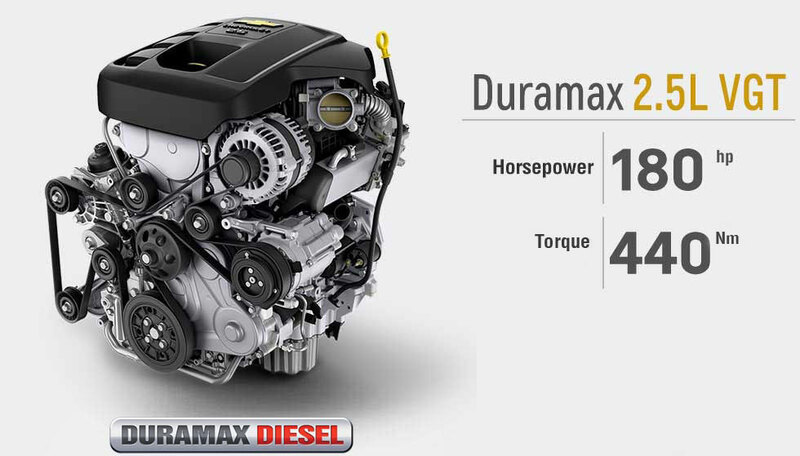 Defying convention and redefining sports driving with the patented 2.5L Duramax Turbo Diesel Engine. 6-Speed with interchangeable Automatic and Manual modes for higher performance control. 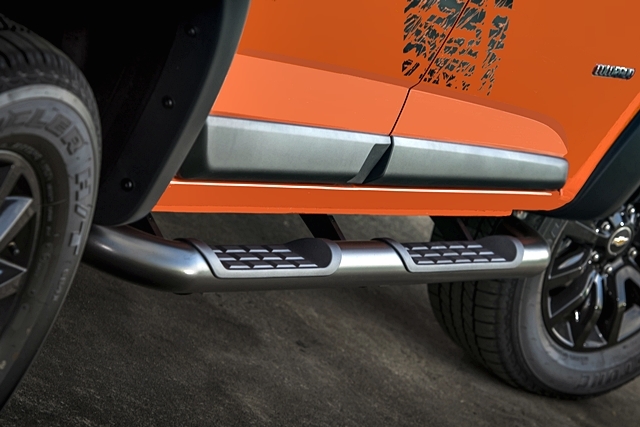 Available in 2WD and 4WD to suit each driver’s need. 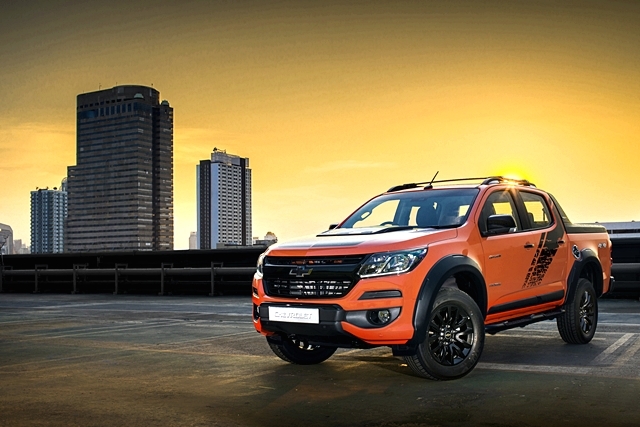 Chevrolet Colorado High Country Storm pushes you beyond your limits so you can stand out wherever you go. 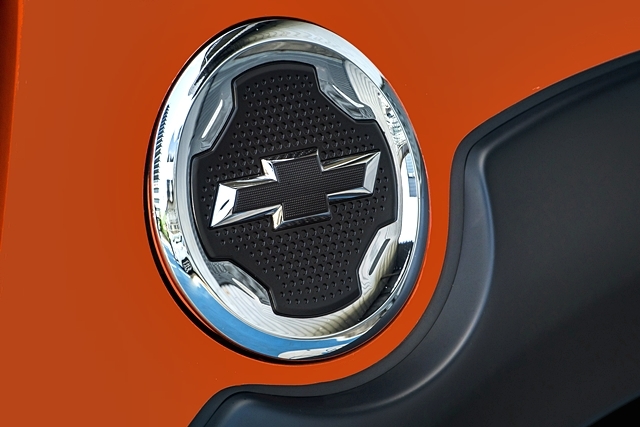 Outstanding design by the world-class designer team from Chevrolet, reflects a premium powerful, rugged and unique in the true American, top quality truck. Step into an elegant interior. The cabin of Colorado High Country Storm features refined craftsmanship, premium-grade materials and ergonomic design that considers the natural movement of your body in different driving situations. Control switches and other features are positioned in easy-to-reach places. You can play audio and respond to calls using the multi-function steering wheel and you can communicate hands-free on your smartphone via Bluetooth. Colorado High Country Storm also comes with convenient features and advanced technology such as the Chevrolet MyLink infotainment system, navigation system, premium 7-speaker sound system, 6-way electronically adjustable driver seat, automatic glare-adjustable rear view mirror (electrochromic), automatic air-conditioning and cruise control. 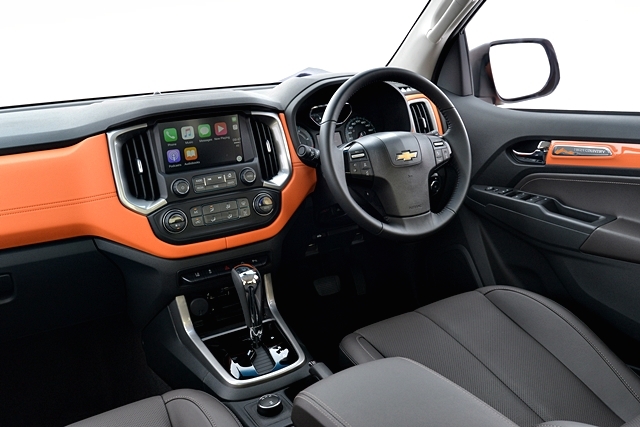 Chevrolet MyLink features a variety of intelligent functions all within your control via an 8” touch-screen. Listen to the news on your favorite radio channels, watch popular TV series via AUX or USB inputs or view your photos from a slide show album. Should you receive a call, the system will automatically switch to call mode and the voice recognition feature lets you keep your hands on the steering wheel for a safer journey. Moreover, Colorado is the first truck in its segment to offer phone integration through Apple CarPlay™. The engine is built with the best in automotive technology incorporating an optimum balance between power, fuel-efficiency and environmental friendliness. Delivering superior driving performance while offering functional usability and comfort. 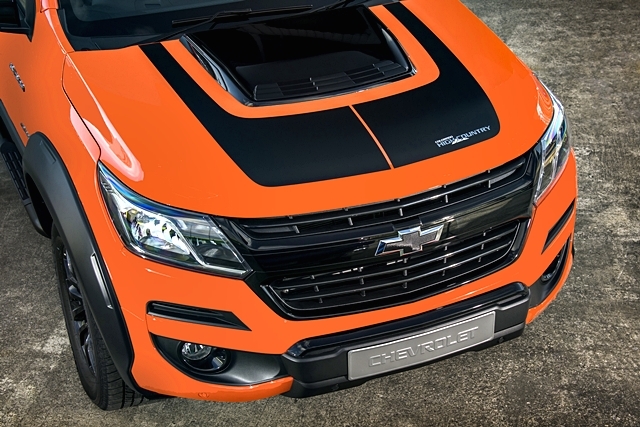 Patented 2.5L Duramax diesel direct injection engine features 4 cylinders, 16 valves, DOHC with Variable Geometry Turbocharger (VGT) and an intercooler. Generating 180 horsepower @3,600 rpm and 440 Nm of torque @2,000 rpm. The steering wheel feels lighter in order to help you steer easier. Steering wheel progressively gets heavier as you increase speed. This enables you to steer firmly with more stability. In addition, improved control and handling help you avoid accidents. This automatic transmission offers a combination of convenience and driving excitement. All power is transmitted via interchangeable Automatic and Manual 6-Speed gear modes for higher performance control. In addition, you can select from 2WD or 4WD to suit your required terrain. The impressive remote start feature allows you to start the engine from outside the truck automatically powering up the air conditioning to 25°C, cooling your cabin before departure. The remote control also functions on all 4 electrically adjustable windows. With Remote Start, Colorado High Country Storm is ready before you are. 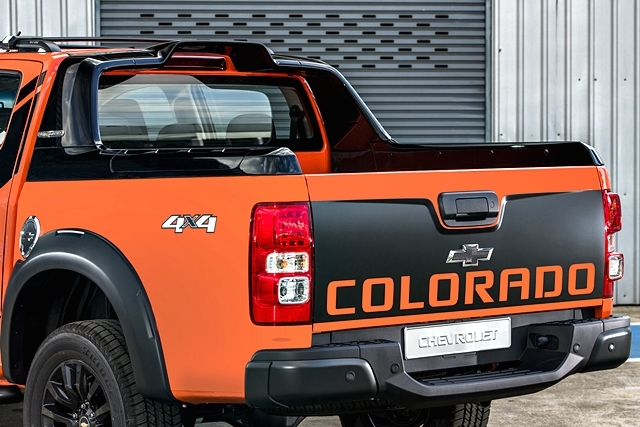 Colorado’s electronic key comes with the time-saving features that help enhance your daily drives. Cool down the interior of Colorado High Country Storm even before you get onboard. This feature is great on hotter day, automatically setting the interior temperature at a comfortable 25 degrees. 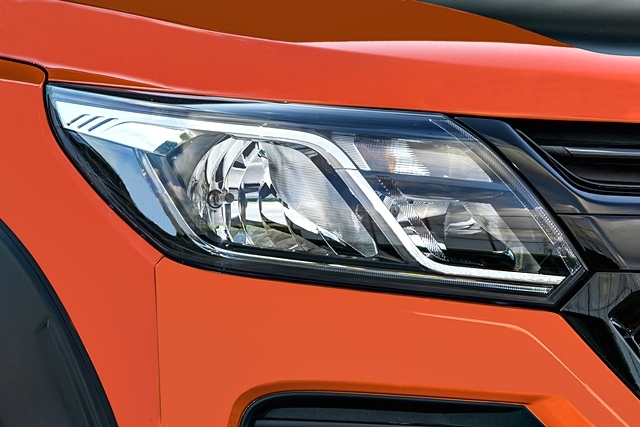 Parking VisibilityActivate Colorado High Country Storm’s LED Daytime Running Lights from the electronic key fob. This useful feature can help you locate Colorado in a crowded parking lot. It also increases visibility in darker areas to offer some peace of mind. WORLD-CLASS SAFETY LETS YOU DRIVE CONFIDENTLY. The Colorado High Country Storm delivers maximum safety through a combination of advanced active and passive safety functions that provide optimum protection for all passengers. The Colorado High Country Storm offers more protection than other standard trucks with the driver knee airbag installation. 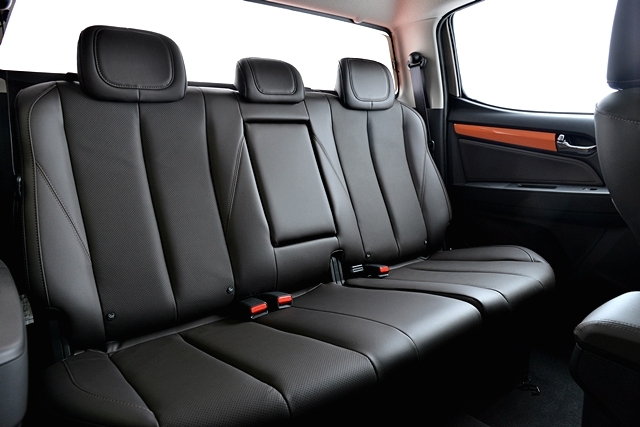 It complements standard front airbag and seatbelt protection by also preventing knee and lower leg injuries. 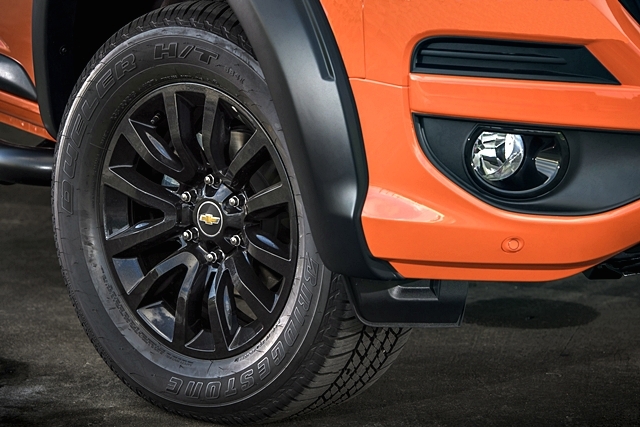 Check real-time tire pressure at all times. If tire pressure is too low or too high, the Tire Pressure Measuring System immediately alerts the driver through a digital information center on the instrument panel.